Build yourself a minifigure scale Flintstones car. Seats 1 minifigure. 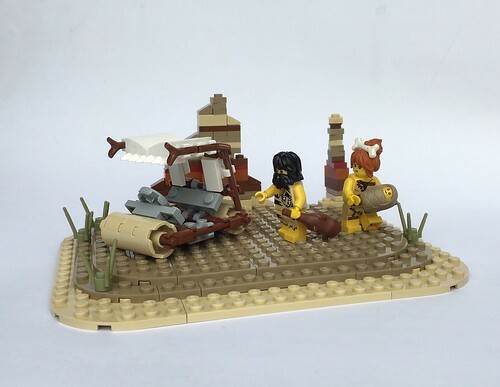 Below is a minifigure scene of caveman and cavewoman showing how I like to display it.